In July 2014, the 1000 Mile Trial will take drivers on an epic classic car rally across the United Kingdom that closely follows the original route taken by daring motorists in 1900. Organised by the Royal Automobile Club in partnership with the Historic Endurance Rallying Organisation (HERO). It will also be a qualifying round of the 2014 HERO Cup. This trial celebrates the original event, first run in 1900 and runs from 12th to 19th July 2014. 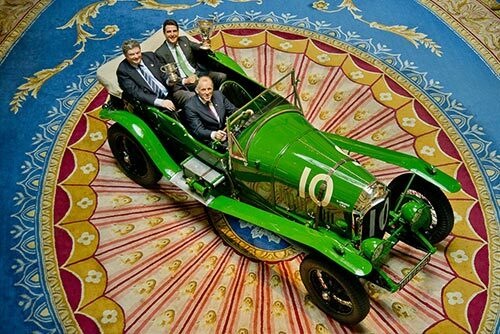 There are some important entries confirmed so far including a 1932 Rolls Royce Phantom II, which is coming out of the Caramulo Museum in Portugal specifically to take part in the event and an original 1929 Bugatti Type 37A once owned by Tazio Nuvolari, the famous Italian motorcycle and race car driver. Patrick Burke said: “These are just a few of the interesting cars that will be campaigned on this event but we know of a number of international collectors preparing and restoring similarly important and impressive vehicles to take part”. The 1000 Mile Trial is open to cars manufactured before 1940. Entries are still available.